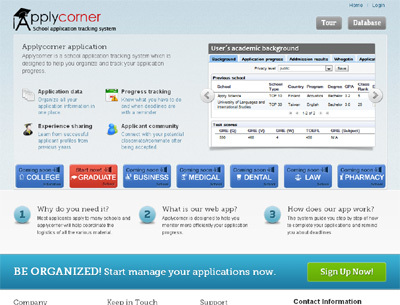 Applycorner is an application which assists you during the application process. This includes school selection by recommendation from our community and system, process management as we remind you of when to submit what documents and application suggestions based on the insight of our community. The application process has always been a painful period for any students and applicants. They not only need advices for selecting schools but also a reminder of all important deadlines.